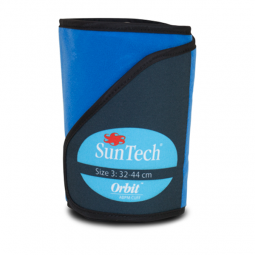 SunTech®’s patented Orbit™ ABPM Blood Pressure Cuff is designed specifically for Ambulatory Blood Pressure Monitoring (ABPM) applications. This blood pressure cuff is designed with a soft, supple sleeve that gently hugs the arm to maintain cuff placement and provide the ultimate in patient comfort for patients who must wear a blood pressure cuff for an extended period of time. Specifically designed for ABPM applications, the Orbit Cuff gently hugs your arm to maintain cuff placement. With its soft, flexible sleeve, it provides the ultimate in patient comfort, especially when it’s necessary to wear the cuff for an extended period of time - whether for a 24-hour ABPM study or something else. The Orbit ABPM Blood Pressure Cuff is durable enough to withstand repeated readings on multiple patients and comes standard with both the Oscar 2 and Oscar 2 w/ SphygmoCor Inside ambulatory blood pressure monitors. 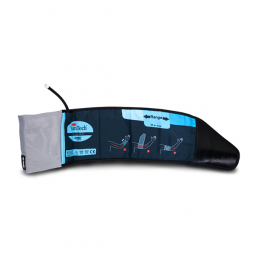 For more information on our full line of blood pressure cuffs, click here! Durability: Value in a long-lasting, high-quality blood pressure cuff material provides a durable yet comfortable cuff solution for repeated readings on multiple patients. Easy Cleaning/Disinfecting: High quality material with a removable bladder makes it easier to clean, disinfect, or machine wash the BP cuff. Ease of Use: Innovative design that allows a clinician or an individual to properly position the BP cuff on the arm to provide reliable and repeatable blood pressure readings. Adult Plus and Large Adult sizes offer a gentle curve to provide custom fit feel that helps the cuff stay in place. How do I clean the Orbit™ Cuff? When it comes to cuffs one size does not fit all. 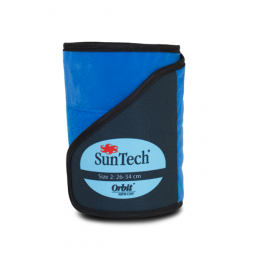 We at SunTech Medical continually promote the importance of proper BP measurement technique. One of the most integral parts of BP measurement is ensuring you are using the correct cuff size for your patient. This becomes even more important for ABPM studies using the Oscar 2 because the cuff is the sensor, and therefore a main component of generating BP results. Applying an unsuitable cuff to your patient can cause erroneous ABPM study results, and therefore affect a patient's hypertension diagnosis. To facilitate proper cuff sizing when using the SunTech Medical Oscar 2 ABPM System, we have created this video which will walk you through the required steps to determine the appropriate cuff size for each ABPM study you conduct.